While driving through the mountains this weekend, we got a bit hungry and stopped at Idaho Springs for lunch. 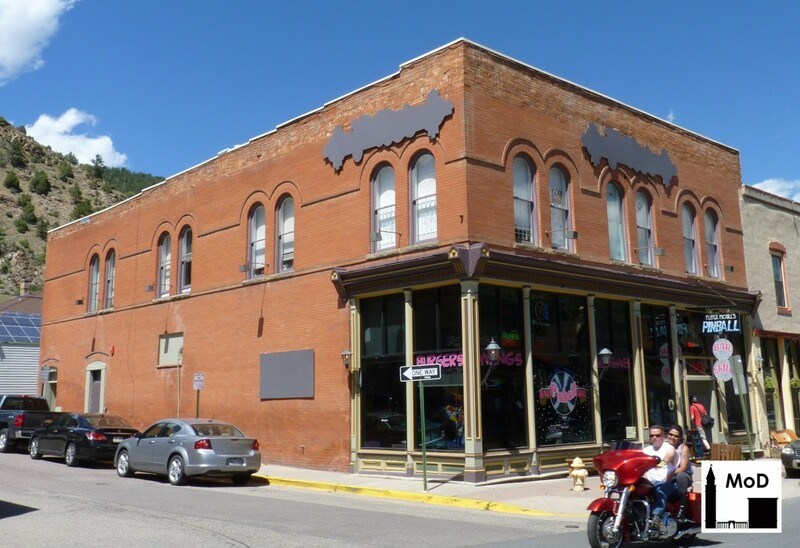 An old mining town turned tourist spot, Idaho Springs has a dozen or so charming historic masonry buildings in its downtown. If you trust the dates found on the cornices, most of these masonry buildings were erected in the 1880s through about 1907. I saw some nice examples of masonry, but one building really caught my eye. 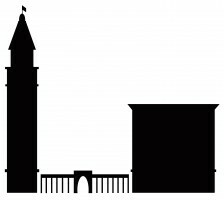 It’s a nice enough building, but that’s not what I noticed. (No, I wasn’t drawn to it by the burgers or pinball, much to my husband’s chagrin.) Do you see the two different types of brick used to build the upper story? The lower brick, which is smoother, is face brick. It was always meant to be exposed to the elements and provided an attractive, uniform surface for the building’s façade. The upper brick, however, is common brick, which is less durable than face brick. It was meant to be hidden on the inside of the wall behind the face brick or covered with stucco. Why would the original builder have used two different bricks at the top of the building? 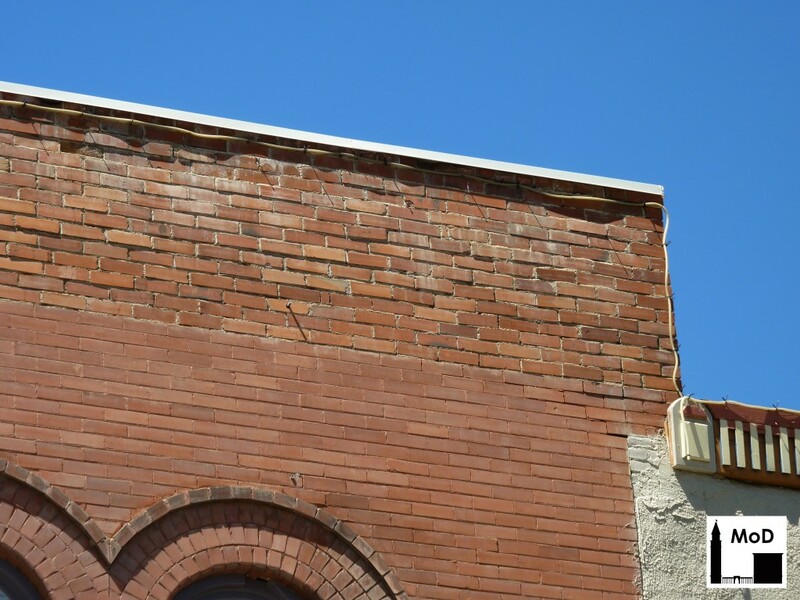 Because the common brick was originally hidden behind a wood or sheet-metal cornice, which is now missing. Common brick was significantly cheaper to buy than face brick, so the builder used the inferior type of brick at the parapet knowing it would be covered with a cornice. Unfortunately by the mid- or late-twentieth century, the cornice was probably so deteriorated that the owner removed it rather than spend a small fortune to repair or replace it. 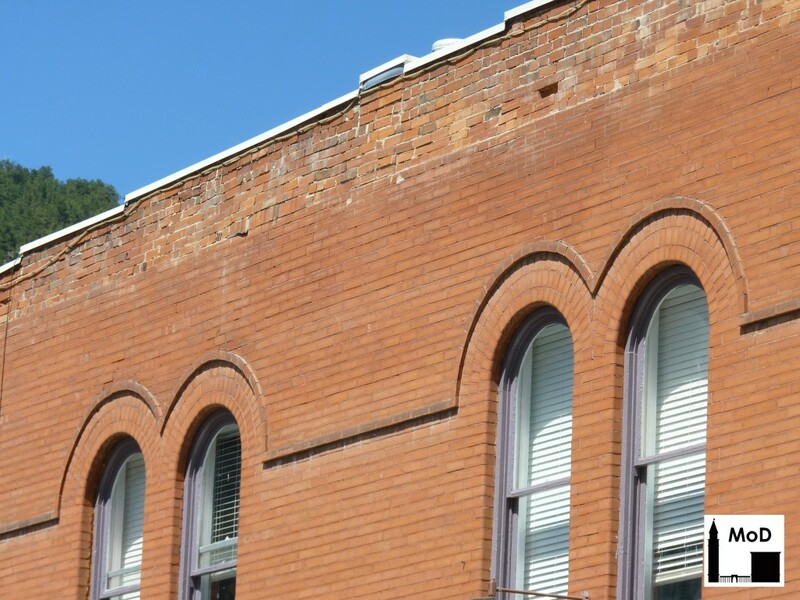 Nevertheless, it looks like the dry Colorado climate has been fairly kind to both types of brick on this building despite the missing cornice. Perhaps one day the owner will find some extra cash and will fabricate a replica cornice to make the building whole again.